Dramatic footage has surfaced showing Russian counter-terrorism forces slaying jihadist “sleeper cells” and “underground units” ahead of the 2018 FIFA World Cup in Russia. 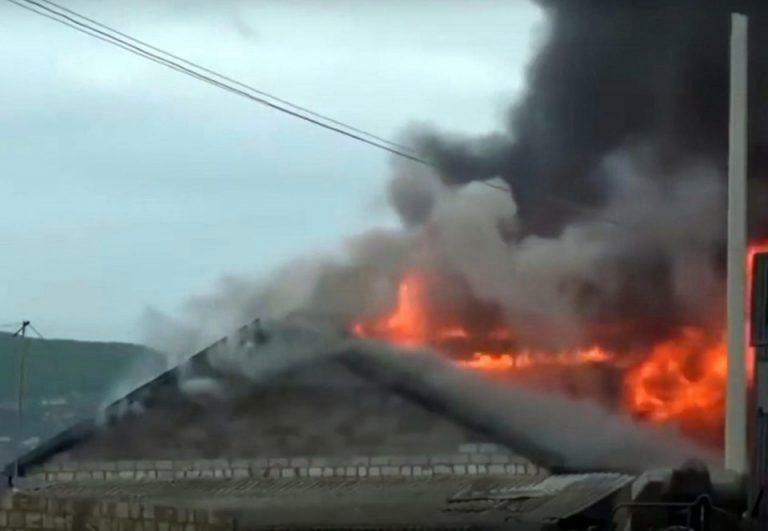 In the past few months, Russian troops have launched numerous counter-terrorism operations in the volatile Islamic region of Dagestan. According to the Daily Mail, local police in Derbent, a city in the Republic of Dagestan, Russia, located on the Caspian Sea, alerted government officials about dangerous jihadist “sleeper cells” that were planning to attack the civilian population on May 01, known as a traditional holiday in Russia. 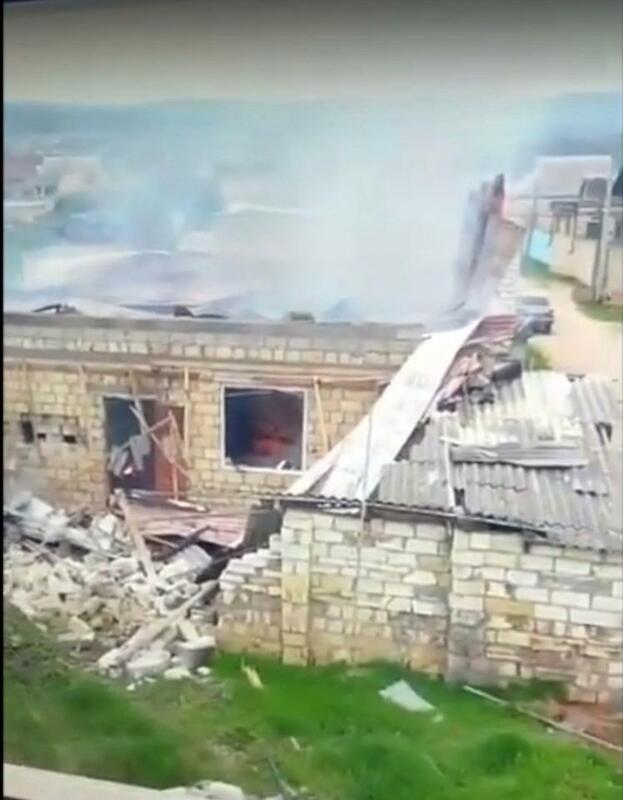 The violent video shows Russian counter-terrorism forces using heavily armored personnel carriers with tremendous firepower, pounding the building with copper and lead bullets, in the town of Derbent, where the jihadist “sleeper cells” were active. 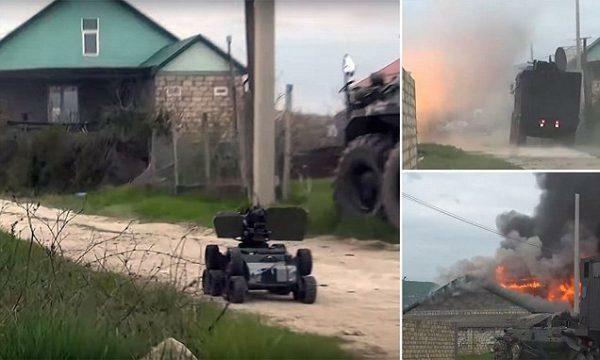 Once the terrorist compound caught fire, all of the armored personnel carriers retreated to a safe distance, as a small armed robot was seen approaching the compound to finish off the job. 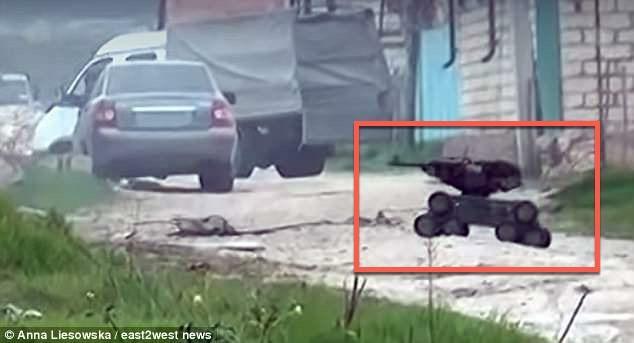 The video shows a Russian soldier remotely guiding the killer robot through the compound. 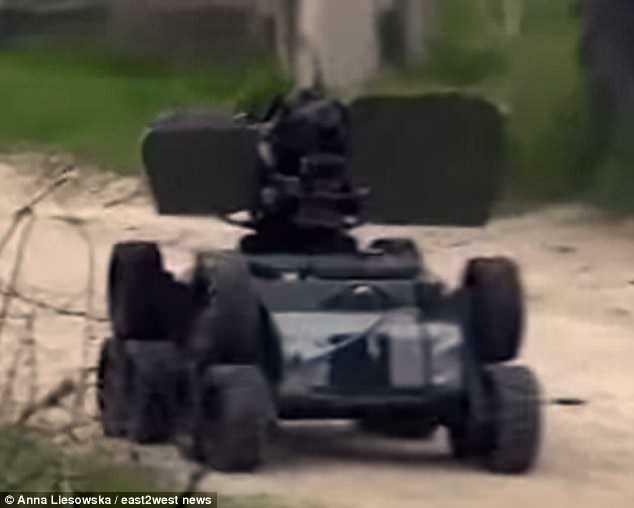 Video and audio recordings relayed wirelessly back to the command notebook of the robot reveals the terrorist shouting ‘Allahu Akbar,’ followed by an explosion. The Daily Mail reported that the heavily armed robot, mounted with a machine gun, was responsible for killing all eleven jihadis. “Guns, bullets, knives, and grenades were discovered at the scene,” according to a statement from the Russian Investigative Committee which investigates terrorism cases. Homemade bombs and other deadly weapons were discovered in the compound before it went up in flames. Government officials later released graphic images showing the bullet-ridden bodies of the terrorist killed in the raid –which is too gruesome to show. Derbent, where the counter-terrorism operation was carried out, is just 590 miles southeast of Volgograd, where England will play their opening 2018 World Cup qualifying group game this summer. Security specialists have warned about “lone jihadi” terror attacks during the upcoming 2018 World Cup starting in June. “Sunni Islamist militants, particularly Russian jihadists returning from conflict zones, are the primary source of concern for Moscow,” according to a report released Tuesday by Jane’s Defence Weekly, the defense and security wing of IHS Markit. Jane’s Defence Weekly explains how the jihadists buildup in the disputed Northern Caucasus region, has driven Russia to unleash counter-terrorism operations leading up to the World Cup. 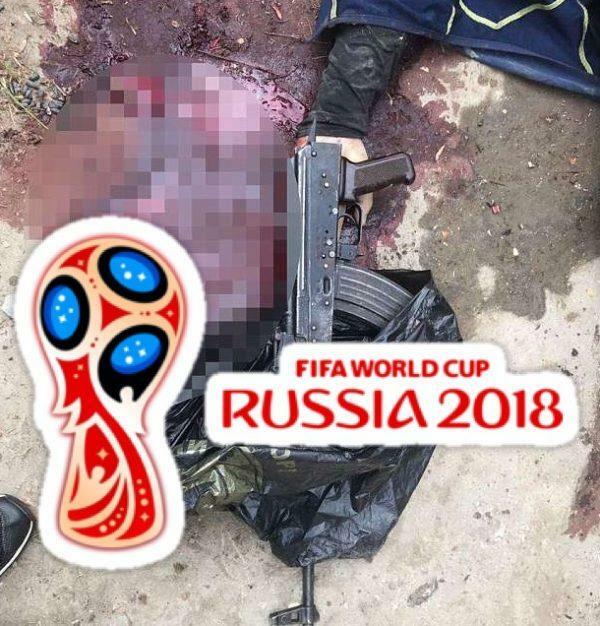 ISIS poster was produced by the group’s propaganda wing, the Wafa Media Foundation, which also produced posters threatening the 2018 World Cup to be held in Russia. That poster states, “Putin: You disbeliever. You will pay the price for killing Muslims. According to the Washington-based security consultancy the Soufan Group, Russia is the largest exporter of foreign jihadis by country, ahead of Saudi Arabia, Jordan, and Tunisia. The data shows an estimated 3,417 Russian nationals had trained and fought with ISIS and 400 had returned home by 2017. “Returning Russian jihadists pose a likely terrorism threat to security measures at the 2018 FIFA World Cup, motivated by their opposition to the military involvement of Russia and other World Cup participants in the Middle East, and towards Iran and Saudi Arabia,” said Chris Hawkins, a senior analyst at Jane’s Terrorism and Insurgency Centre (JTIC). While the Kremlin is expected “to intensify its counter-terrorism operations in the majority Muslim semi-autonomous Caucasus regions of Chechnya and Dagestan,” said CNBC, there is a reason to believe Putin will have his hands full ahead and during the World Cup. 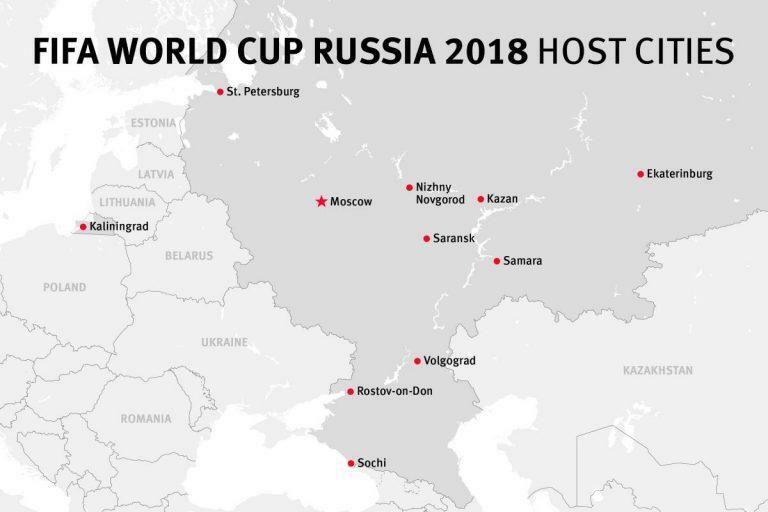 Russia’s tourism ministry projects more than one million foreign visitors could flood into Russia for the World Cup, which will be held across eleven cities this summer. What could go wrong?